Please note all prices are currently inclusive of VAT. 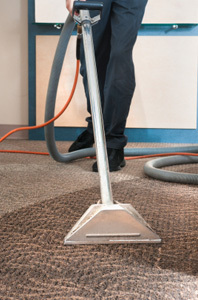 There are 3 factors that go into compiling a quote for carpet & upholstery cleaning. Size of job, obviously the bigger the area or sofa the more it will cost to clean. No room, house or sofa are exactly the same size, some are bigger than others so this is a very important factor. Minimum Charge on any Cleaning Job is £70-00. Cost estimates can be given over the phone, or free written estimates supplied with no obligation. To discuss any aspect of pricing or to gain your quote please call ……. and ask to speak to Mark. We are passionate about our cleaning, and it’ll happily discuss anything or any aspect of potential work, with anybody, so even if its just friendly advice you need, feel free to call. Stain protection is available at an extra cost on top of the cleaning cost. This would help with re-soiling and help to repel water based stains. All commercial works will receive a visit, and a free quotation and if needed a free demonstration. We are happy to work on a invoice basis (30 days as standard). To clean a single mattress including mattress medic sprayed both sides will cost £25-00. Ruislip, Eastcote, Hillingdon, Uxbridge, Hayes, Pinner, Stanmore, Edgware, Watford, Bushey, Northwood, Rickmansworth, Denham, Gerrards Cross, Slough, Harrow, Ealing, Acton, Wembley for domestic work.